Electronics Costs > How Much Does it Cost to Add a Line to AT&T? How Much Does it Cost to Add a Line to AT&T? AT&T, like most phone carriers, offers you the option of adding a new line to your existing wireless account instead of opening a new account every time you purchase a new mobile phone or extending your contract. This can be done whether you are currently on a group or individual plan. As the name implies, adding a new line is going to allow you to add more members to your family phone plan. How much does it cost to add a line on AT&T? 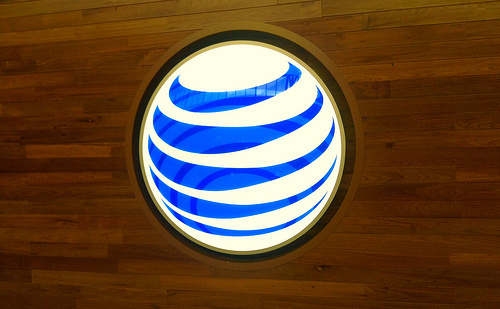 The cost of adding a line on AT&T will greatly depend on the plan you choose. For example, every line beyond the first two is an additional $20 per month if you were to sign up for either the Unlimited Choice or Unlimited Plus Plan. The base monthly price for both of these plans start at $125 for Unlimited Choice and $155 for Unlimited Plus. According to the official AT&T website, you will have two options: either the unlimited plan or the mobile share advantage plan, which offers 3, 6, 10 and 16-gigabyte plans. To get an exact quote for adding a line to your plan, we highly recommend using AT&T’s simple calculator. To make things easy, we broke down the costs for each plan and what you may pay for each additional line. NOTE: These are prices you will pay on top of the base price. Taxes and additional fees not included in this estimate, either. You can add up to 10 lines for the unlimited plans. Every time you add a line, you will need an additional phone for that line. If you decide to purchase a phone from AT&T, this is another fee to consider. You can either pay a monthly fee on their Next installment plan. A newer iPhone or Samsung, for example, could add $20 to $30 per month to your plan for the next 24 months if you were to take advantage of this program. However, if you were to simply outright buy the phones, again, this could vary. There are simple phones available at no charge all the way up to a higher-end smartphone retailing for as much as $800+. A one-time activation fee, when you activate the phone, can cost about $25, depending on the current promotion. A variety of promotion codes and/or deals are frequently being held. For example signing up for billing and AutoPay can bring your monthly costs down. The same can be said for those who are current DirecTV customers.